The New York County Lawyers\' Association held their 100th Annual Dinner on Wednesday December 17, 2014 at the Waldorf-Astoria Hotel. 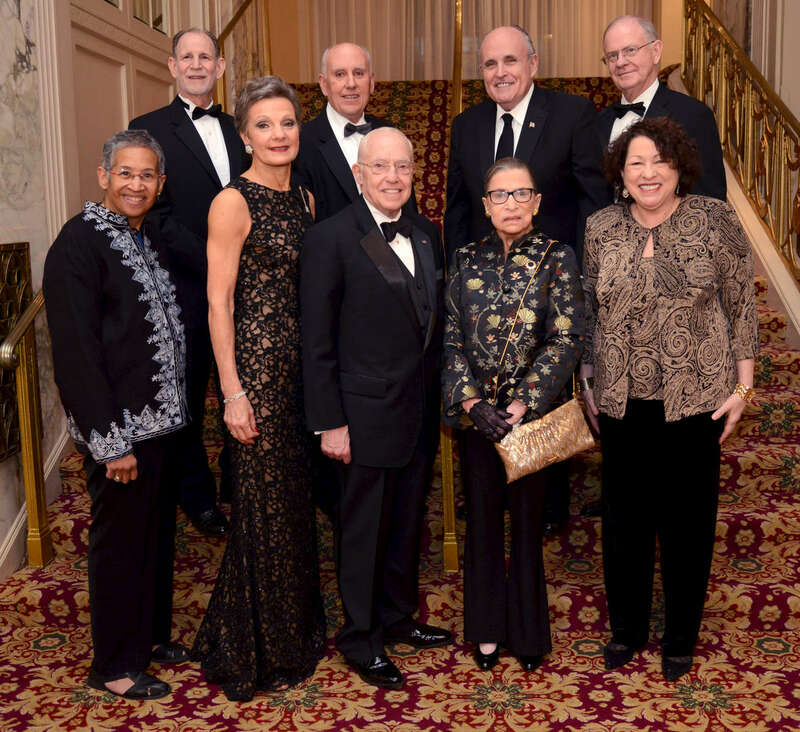 This year\'s honorees were: Front row second from left; SDNY Chief Judge Loretta Preska; Former U.S. Attorney General Michael Mukasey; U.S. Supreme Court Justices Ruth Bader Ginsburg and Sonia Sotomayor were speakers. Also on hand was SDNY Judge Deborah Batts, front row left.